Becoming a mother had always been an ambiguous thought for me growing up, until I met Mike. I felt there was no better way of expressing love for another person than to share yourself in the union of persons and conceive a child. A little piece of us, together, to show and share with the world. Mike was and still is an amazing man and I wanted nothing more than to create a family with him! We found out we were pregnant on the morning of Jan 14 2010. Mike and I had been in Minnesota visiting his family for the Christmas holidays and were returning home when I realized that I was late for my period. We decided about 8 months earlier when we got engaged to stop using oral contraceptives and begin using NFP (natural family planning). We weren’t getting any younger and we wanted our children to come into our family as they may. Granted we had a wedding date planned, we were ready to become parents no matter what. The night before we found out I went to my work, a local hospital, and got a pregnancy test from the lab. I wasn’t convinced I was pregnant since I didn’t have any of the tell tell signs like nausea, vomiting or tiredness. Just a late period. When we woke the next morning I peed on the stick and the window automatically produced 2 bright pink lines, but what did that mean? I forgot to ask how to read it! So I took a picture of it on my phone and sent it to my friend Jennifer who worked in the lab and knew how to read it. Her immediate reply was CONGRATULATIONS! Mike was super excited and all smiles when I told him. I, on the other hand was shocked. Don’t get me wrong I was happy but I was confused since I hadn’t had any symptoms. I called my doctor right away and made an appointment. The day of our appointment I had a transvaginal ultrasound done to approximate the DOC, date of conception, to make sure our little peanut was in the right place and of course to see and hopefully hear the little heart beating…..and we did. The room was full of joyful cries as Mike and I held each other, tears of happiness falling down our cheeks as we watched that little piece of us wiggle around the screen. That day and every day after that was amazing and wonderful. I loved being pregnant and everything about pregnancy in general. I was determined to do everything in my power to nurture, care for and LOVE my child while he or she was in utero. Pre-birth bonding became an obsession of mine I think. I sang and talked to my little bump everyday! I practiced meditation and used those quiet, peaceful times to visit my precious child. I cherish those memories even more now. The day we found out he was a boy was another one of those amazingly happy days for Mike and I. We decided even before we got pregnant we would name our first son after his late father, Michael Francis Latterell and our little boy would be Michael Francis Latterell, II. I could tell Mike was so proud! He was going to be a daddy-he was going to have a son. During those first 18 weeks I knew it was a boy, I just had a feeling and I was glad I was right. The next few months we spent working on the house, getting it ready. Painting the nursery, registering for baby shower gifts and the normal nesting you do as parents. I started doing a ton of pre-natal yoga and hypno-birthing classes as well. Mike and I both spent a lot of time talking to him through my belly, we loved watching as he kicked around while we listened to the Beach Boys or Elton John. God I am reliving these moments now as I share them with you and I am just in awe of all the wonderful memories I do have of Michael. We decided to deliver naturally in a birthing center with a midwife, no drugs or invasive interventions. I stayed low risk throughout the entire pregnancy. My blood pressure elevated a little bit around 30 weeks but it wasn’t high enough to worry about. All the regular labs came back normal. There was never any sign we needed to worry about anything until that most dreadful day, August 10. That day was the day that destroyed my dreams and ripped my family to pieces. 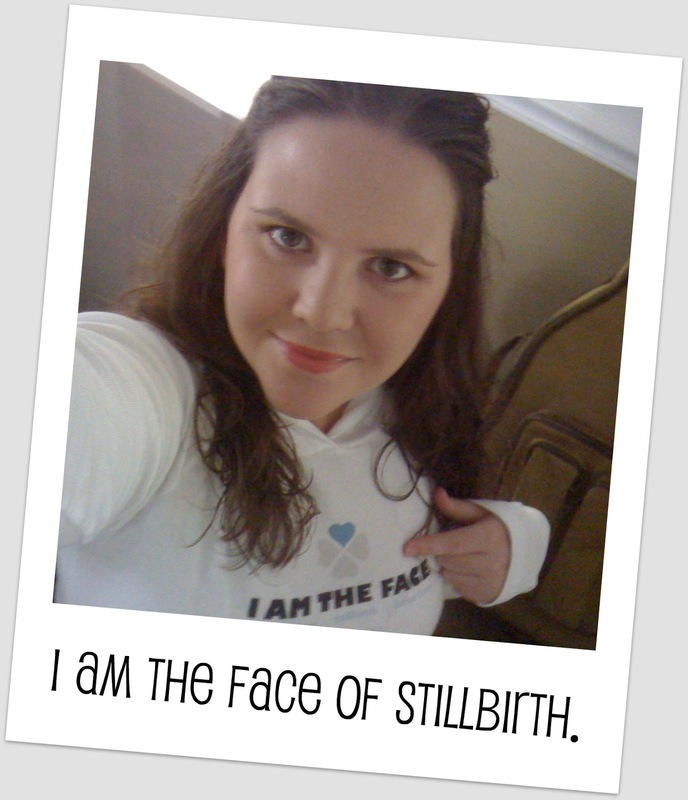 I was 36 weeks pregnant and went to my midwifes office for a normal, routine exam. Mike didn’t come this time, it was the only appointment he missed my entire pregnancy. Our air conditioner broke the night before and he stayed home to get it fixed so baby Michael and I wouldn’t be uncomfortable. I got up on the bed for her to listen to his heart beat with the Doppler, but there was none. It didn’t take her any time to get me into the ultrasound room. As soon as the transducer skimmed the top of my belly, I knew he was gone. There was no fluid. I have never in my life been so uncontrollably heartbroken. All my midwife said was, “I am sorry”. I lost it, I screamed! “NO NO NO NO, God Please! Not MY baby! She hugged me and cried with me for a little while. Then she said she would leave me alone so I could call Mike, she needed to go get the doctor to come in and talk to me about our “options”. I couldn’t bear to call Mike right away, so I waited, lying on the bed hugging my stomach, my baby. I kept telling Michael that I was so sorry and that I didn’t know what had happened but I loved him so much. My doctor came in a few minutes later and asked if he could do another ultrasound so he could tell how the baby was positioned. I agreed. He did it fairly quick so I wouldn’t get any more upset than I already was. Michael was transverse and like I had already guessed, there was no fluid so I would have to have a c-section. I asked about a version, to turn him face head down so I could deliver vaginally but he felt that with the lack of fluid and his position it wouldn’t be worth the effort. He did promise me that he would let me try for a VBAC with our next baby though. I was very happy to hear that. It was the end of the day, so it was too late to schedule anything for the following day so we would have to wait until the day after. I called Mike when I got to the car before I drove home. His reply was, “Come home babe”. We spent the rest of the night calling our parents and began planning for the next few days to come. We are Catholic so we called our priest to help us plan the funeral and a few close friends from church as well. I was scheduled for a pre-op appointment with my doctor on the 11th. We went to that appointment and that is all I really remember about that day, its all kind of a blur. The morning of the 12th, I do remember the feeling I had walking into the hospital to deliver Michael. It was the hardest trip to a hospital I have ever had to make. I always thought that the day I delivered my son was going to be one of excitement and joy, but instead it was full of heart breaking pain and anguish. I kept it together pretty well until I walked by the nursery and then I realized that my baby would never make it there. We would not be able to stand at that window to stare at our son and show him to people. We would never get to share him with the world. I started sobbing and at that moment I stopped and told Mike that I couldn’t do this. I wanted to go home and have this all just be a bad dream, but I knew I couldn’t. The nurses saw me crying and figured out who I was. One of them came over and introduced herself and showed us to our room. A room that was ready for a live baby to be born in, but our baby would not need anything in that room. Our beautiful little boy was born still on August 12th at 12:41 pm. I kept praying that I would hear him cry, that the doctor was wrong and that he was still alive, but I knew he wasn’t. As soon as his little body left mine I knew it. I felt empty and hopeless and there was no cry except for mine. He was perfect in every way. We were so fortunate to have Now I Lay Me Down to Sleep come and take pictures. The nurses were positioned right beside me so I was able to see him as soon as he was born. They took him and wrapped him in warm blankets and gave him to Mike. He looked so much like me and it broke my heart. I remember the first thing I said to Mike was, “Honey, look he has blonde hair”. Mike asked them not to dress him or clean him up because we wanted to do it. One of my nurses asked if they could take him to get his measurements, weigh him and get his hands and feet printed. I agreed, but only under the condition that it would take no longer than 20 minutes. I wanted to spend every single second that I could with him before we had to say goodbye. Mike was already back in the room waiting for me when I was done with surgery. We both held each other and our son and cried, like the first time when we saw Michael on the ultrasound, we cried. Not for the same reasons though and this time our baby wasn’t moving. There was nothing to be happy about that day, our son had been born dead and there was nothing we could do about it. It was all in God’s hands, and now, so was Michael. We got to hold, kiss, and sing to him for a few hours, but it seemed like it went by in a matter of minutes. No amount of time in the whole world could have been long enough. I still long to hold him in my arms and it hurts so badly because I can’t. I know everything happens for a reason and though it’s hard to see the positive side to this I am forever grateful for my son. I feel honored everyday to know that I carried him in my womb and that he got to feel the immense love that his father and I had and still have for him. Michael has made an amazing impact on my life. He will always be my first born and he will always be in my heart. We had his funeral on the 19th of August at our parish church here in Nashville TN and took him to Duluth,Minnesota to be buried with his grandfather in the Latterell family plot. It was a beautiful day when we buried him. Mike and I couldn’t bear leaving him without seeing him buried. We needed to know he was safe so we placed him in the ground and Mike helped cover him with the earth. Now our little Angel is safe with God and the rest of his family that has passed before him. He is looking out over us and will always be with his in our hearts and in our memories. Leanne – Michael sounds like a beautiful,beautiful little boy. I'm sorry he's not home with you. Sending you much love…thanks for sharing his story. Thanks for sharing your story! I dont know what to say because I am so broken! 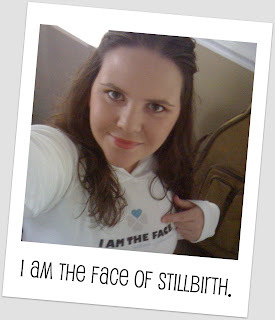 My baby was stillborn at 38weeks. 5 months on, my heart is still broken in a million pieces. She went to be with her oldest brother who i carried till 23 weeks. My heart aches for them but i know that God has a plan and He is in control although i feel like i have lost all hope.